I am a huge fan of Expression Med. They currently have tapes for products of Dexcom, Infusion Sets, and are hopefully expanding with products for Libre, Medtronic CGM and more in the future. I have used their products before for my Dexcom Continuous Glucose Monitor site and had great results. These tapes adhere to the site and not only help the site stay on, but also provide some colorful fun. I can only speak of the Dexcom CGM, but after a few days, the sites begin to peel. Or, if you use them in the pool, extended time in water, or even wearing tight clothing can cause the sites to fall off. I have even encountered times where the sites fall off the same day (mostly because I put one on before skin was completely dry or too close to a shower), and it is a shame because the pods/sites are NOT cheap and you cannot get extra (at least with my insurance). Once you use a CGM, it is VERY hard to go back to pricking your finger multiple times per day, because you are used to knowing what your blood sugar is. So these tapes help the adhesive of the pod/site stay put! I have personally worn the medical tapes and had no problem with them peeling off or falling off. I have relatively sensitive skin, and had no irritation. So why does pattern, matter? Diabetes stinks. There is no way around it. We are given an autoimmune disease that literally controls our life. Multiple injections or site changes, finger pricks and prescriptions. Expression Med brings a tiny bit of color to a dim disease. Something to smile about, show your friends, or even let kids see that they may have an autoimmune disorder, but it does not have to rule their life, and does not make them “different”. There is no shame in being a Diabetic. Expression Med lets you appreciate what modern technology can do for you a little bit more. Overall, great products. Please check them out! The Dexcom pieces run about 4$ each and are worth every penny! This is an unbiased review. I received these products to try for free from the company. I’ve seen Enlightened Ice cream pop up on the freezer shelves…always curious. Could it taste good? Surely 80-100 calories seems absurd for a serving of ice cream that has flavor… Well…much to my pleasant surprise. 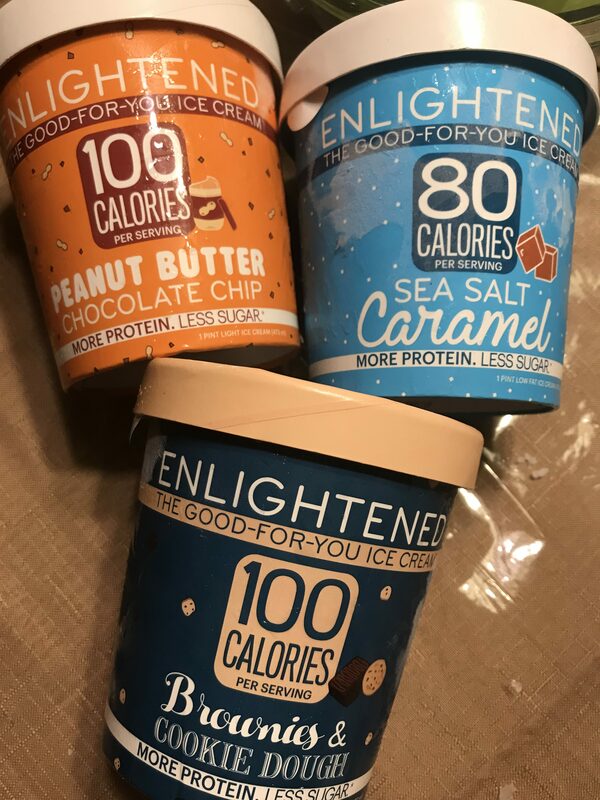 Enlightened has a wide variety of low calorie ice cream that has a decent amount of protein per serving and relatively low in sugar per serving. It is sweetened with erythritol, a sugar alcohol, and made with rBST free milk. For example, the Sea Salt Caramel has 80 calories a serving, 1.5 grams of fat, 5 grams of sugar and 7 grams of protein. This is an absolute dream for ice cream lovers…because who can really eat JUST half a cup!?!? NOW–> for these ice creams, you have to let them sit on the counter for 10 minutes or so. They are low in sugar, and sugar is often what keeps the ice cream soft from the freezer. So let it thaw a bit, then enjoy! It was UNREAL. Creamy and sweet, with PLENTY of little chocolate chips that were sweet/semi sweet in flavor. Had a vanilla-peanut butter flavor, but honestly couldn’t get over the fact it was low in sugar and how creamy it was. I finished this pint in 2 days. An easy 5 star. Next up, Brownies and Cookie Dough. This was a chocolate based ice cream with pieces of brownie and cookie dough bites scattered throughout. The ice cream itself was creamy, with a milk chocolate flavor. Sweet but not “sugary” sweet where it hurts your teeth. The cookie dough pieces were spot on- tasted as if it was straight from the bowl of homemade cookie dough, with the soft consistency you expect. The brownie bites were chewy, sweet and fudgy and just went perfectly with the ice cream. 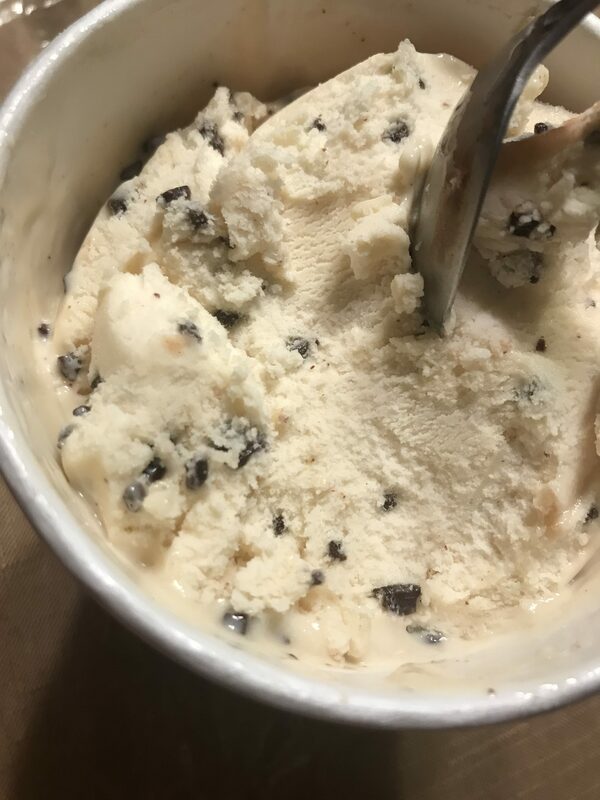 The best part is…there was plenty of brownie and cookie dough bites in the ice cream. No scrimping here. Honestly–> another 5 star from me. Last up, Sea Salt Caramel. I was already excited to try this based on the fact I love the other two. The Ice cream itself is, again, nice and creamy, with a pretty strong caramel flavor. The caramel itself you can tell is not that sugary sweet caramel, but has more of a muted flavor (probably because it’s not loaded with sugar…). However, it’s still pretty good. 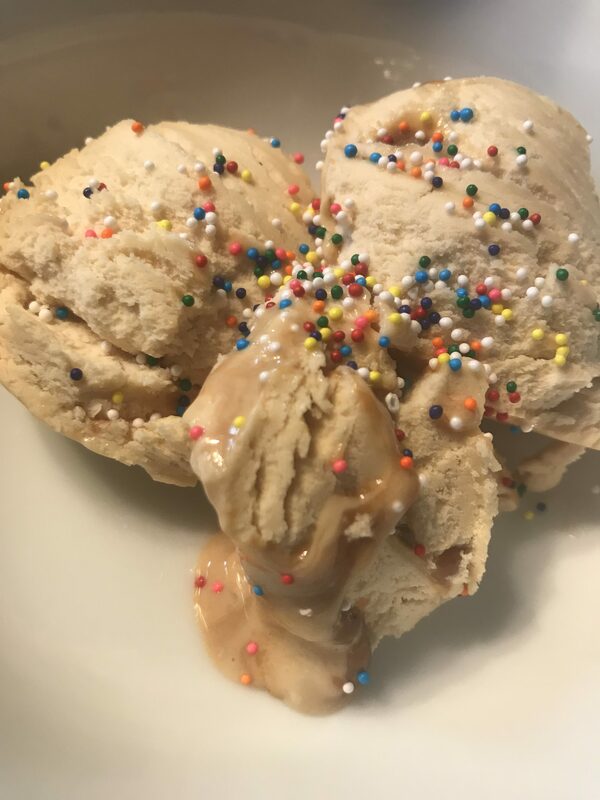 There are large swirls of caramel in the ice cream, which are sweet, but has that sugar alcohol type flavor. If you’ve eaten enough sugar free/low sugar products, you know what I am talking about. It was almost a bit too rich for me, too “sweet”, and I wish it had some sort of saltier or crunchy component. But hey, to each his own. 4 star for me. Here’s the nutritional facts for the PB Chip — however, most of the flavors are similar, but NOT exactly the same. Visit the website for exact nutritional information! Follow Enlightened on Facebook, and Twitter. DISCLAIMER: I received these items to try for free from the company. This is an unbiased review. Summer brings bare feet and with bare feet comes…dry feet! 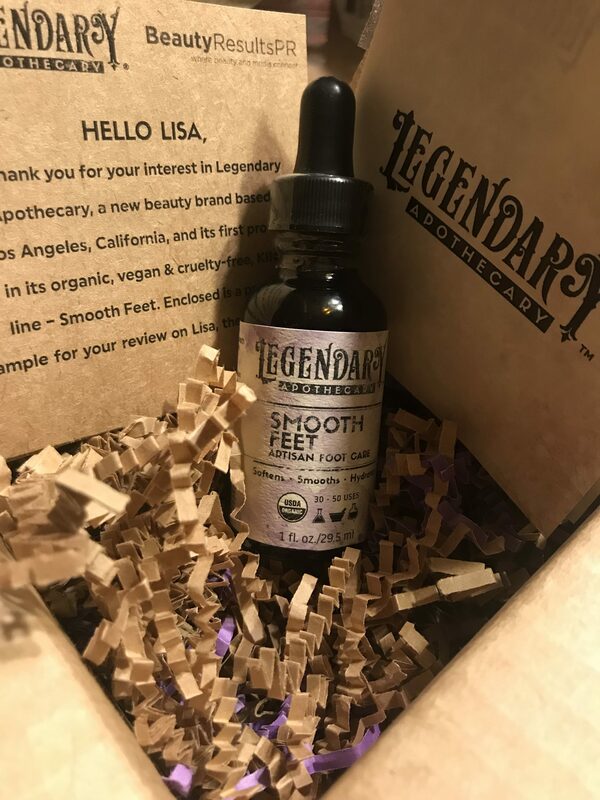 No worries, Legendary Apothecary is here to the rescue with their Organic Smooth Feet Artisan Foot Care. 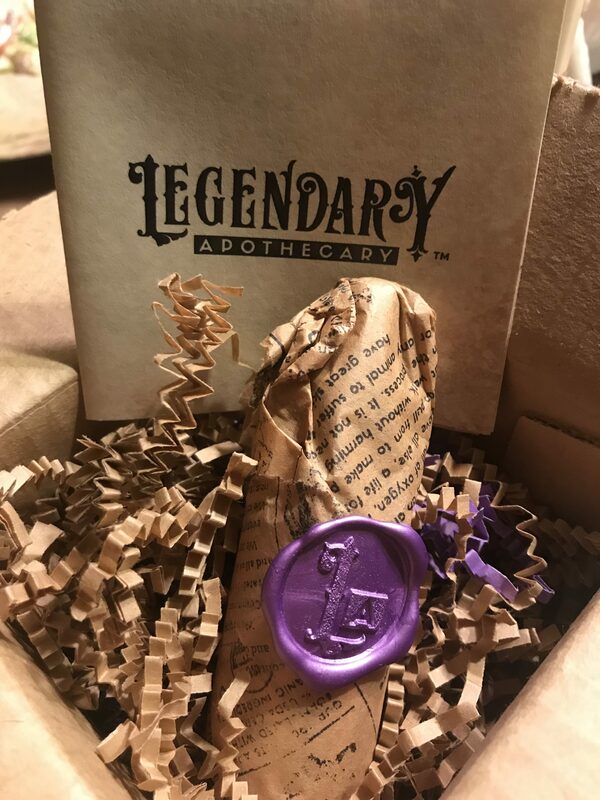 Legendary Apothecary is a new beauty brand founded in Los Angeles California. This product in particular organic, VEGAN, and cruelty free. Smooth Feet is made with vegetable glycerin, grain alcohol and lavender oil as it’s only ingredients, and comes in super cute, eco-friendly packaging (that according to the pamphlet I got, is 100% sourced in the USA!). Look at the cute seal!!!! More info from the pamphlet, the glycerin attracts water and helps seal in moisture, the grain alcohol helps the glycerin penetrate into the skin (and acts as a natural preservative), and the lavender oil is for fragrance as well as its antioxidant properties. 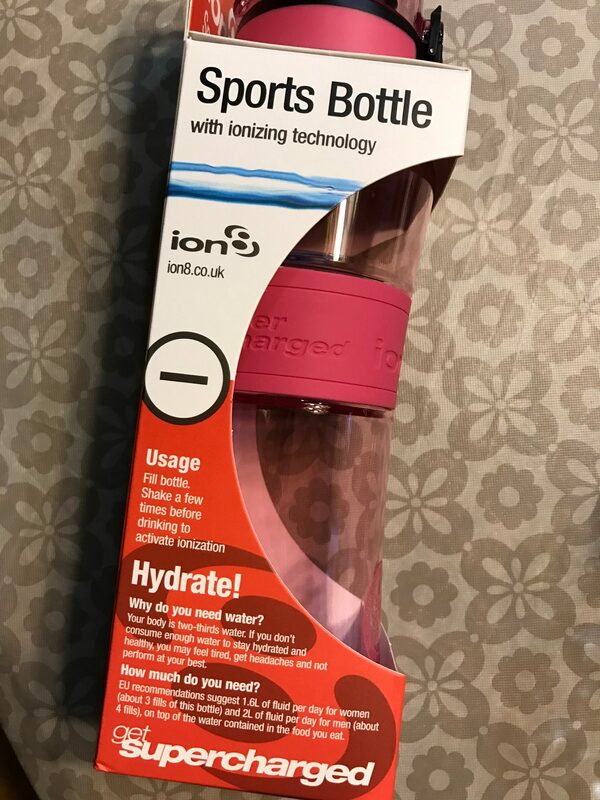 The product itself is super easy to use. You are instructed to use a dropper full on clean, dry feet before bed time. Make sure you allow it to completely dry before walking (don’t want to slip! ), or wearing socks (could get sticky!). The scent is fragrant but mild enough that it’s not overpowering. Smooth Feet is easy to work into skin, and it’s thick enough where it doesn’t run/drip all over, but liquidy enough to let you work in those hard, calloused areas. My feet were left both hydrated, soft and smelling good! DISCLAIMER: I recieved this product to try for free. This is an unbiased review. OKAY! We all know Type 1 Diabetes bites the big one in terms of autoimmune diseases. There is no sugar coating it, it stinks. All of it. But I really love these companies that try to make the disease a little less painful by providing some fun. Most Diabetics I know nowadays have a Continuous Glucose Monitor which checks their blood sugar levels every few minutes and transmits the number to a device via bluetooth. The diabetic wears a “pod” on their skin for up to a week or so. The problem? It falls off, the edges peel when it gets wet, and well…they are kind of ugly. 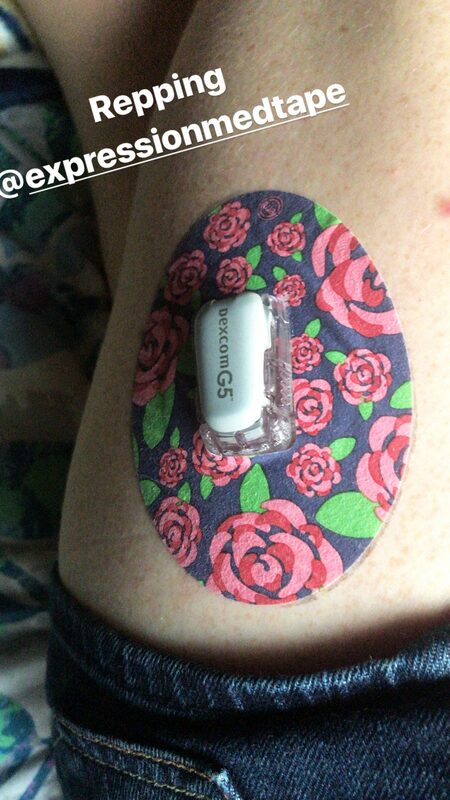 I wear one on my thigh, the amount of times I have ripped off a pod are unreal, and let’s face it, Diabetic Meds are NOT cheap and do NOT have time to be ripping these off. Too costly!!! 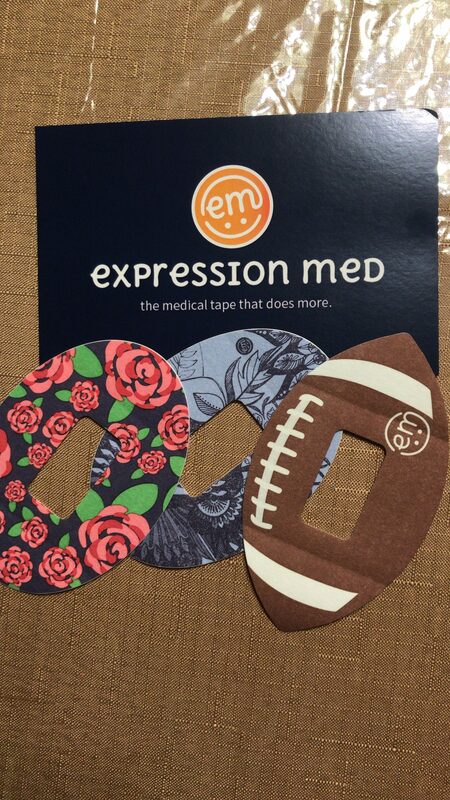 Expression Med has come up with super cute adhesives to wear over your CGM pod. I LOVE the idea, especially for kids who may feel alienated amongst their peers. 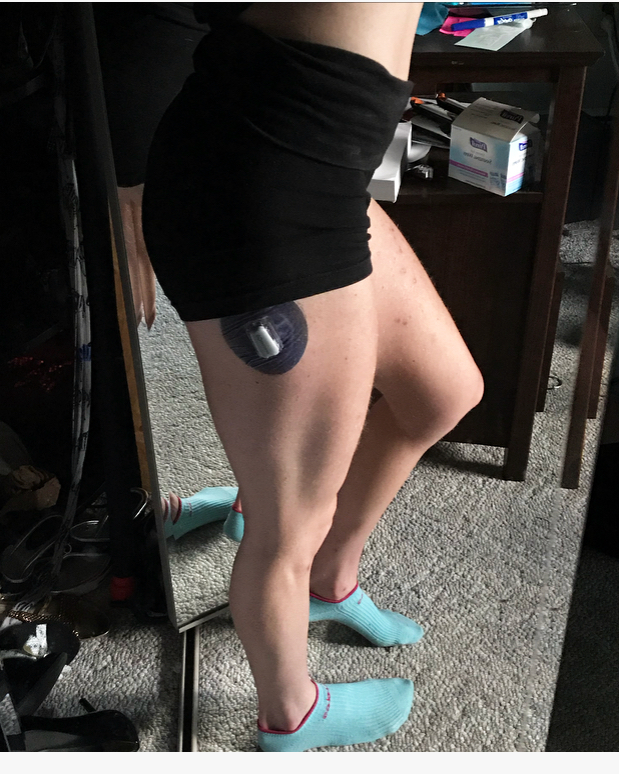 I have had type 1 since I was 4, and while I was never bullied or anything of the sort, I see a lot of kids nowadays with CGMs and insulin pumps, and it may feel like a lot for a kid– he can’t act the same way as his peers, his cake and candy has to be monitored, it stinks- but its companies like this that make it just a bit better by providing cute adhesives. I applied, waited my allotted time. And this is how my adhesive has held up a WEEK later. NO peeling, nothing! Honestly, I am impressed. No peeling, no itching, no irritation, water seal. Once the pod comes off the skin, its ability to monitor your BG levels are altered, so this is not only great for looks, but also functionality. 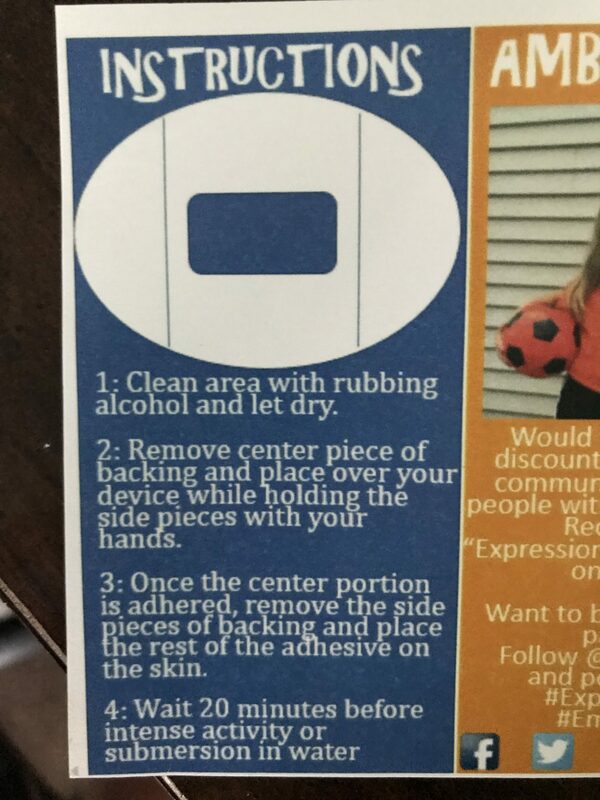 It also helps you save money because you can get the full use out of your product and not have it peeling off, falling off when it hasn’t been on the entire allotted time. For a DEXCOM G5, I wear it up to a week, but other CGMs may vary. 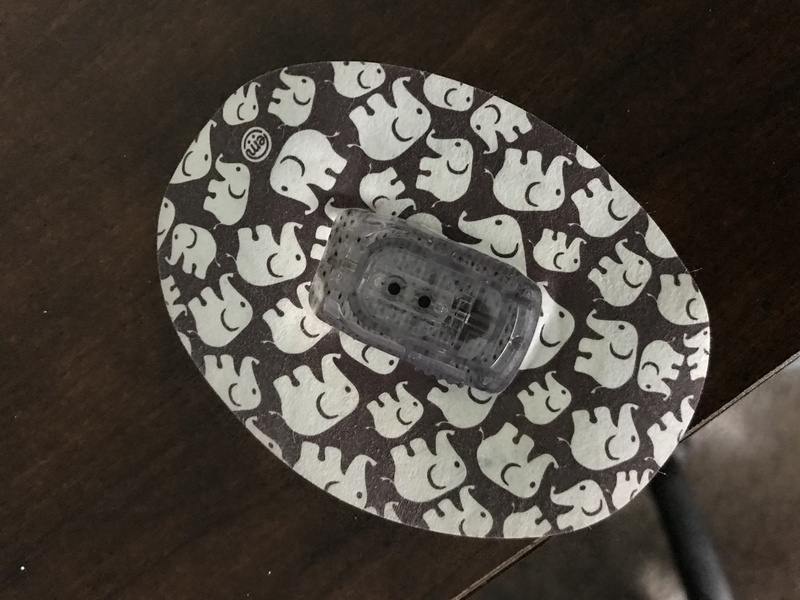 I REALLY loved the elephant one I was sent (above) and I am definitely interested in buying a few more. Overall, I love it! On the website I noticed they run you about 15$ for 5, which really isn’t that bad considering the quality. 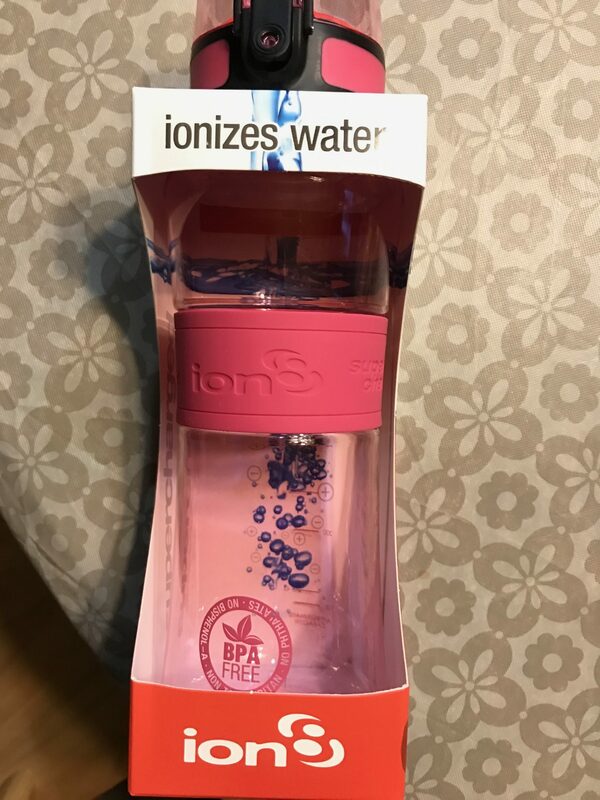 If you have kids with CGM or you find your sites falling off easily, these are a MUST! 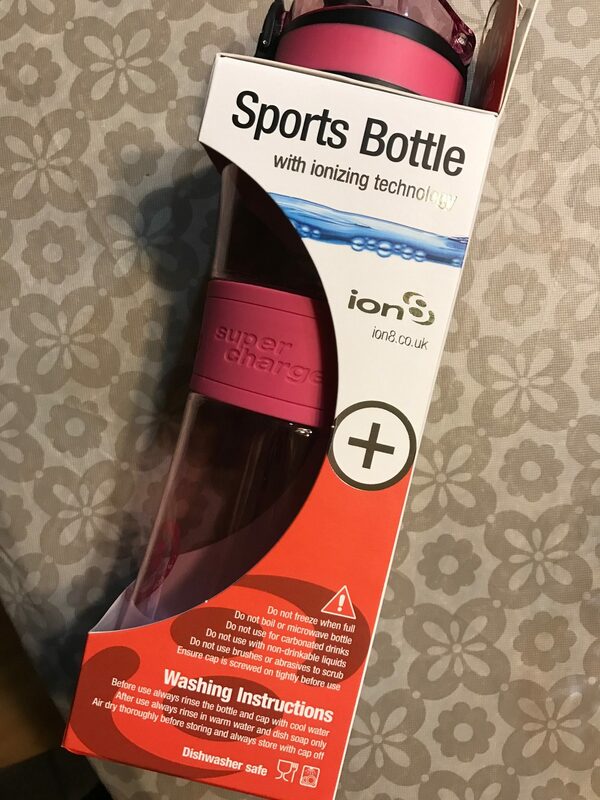 I received this product for free, this is an Unbiased review. So I have a fancy toothbrush. I paid 60$ for it. & I gotta charge it once a week. & I have to buy a new head for it that costs 20$ every few months. & it’s nice and all. A tad abrasive. But it does the job. But then Mouthwatcher’s offered me to try a new toothbrush. & I’m cheating on my toothbrush now. 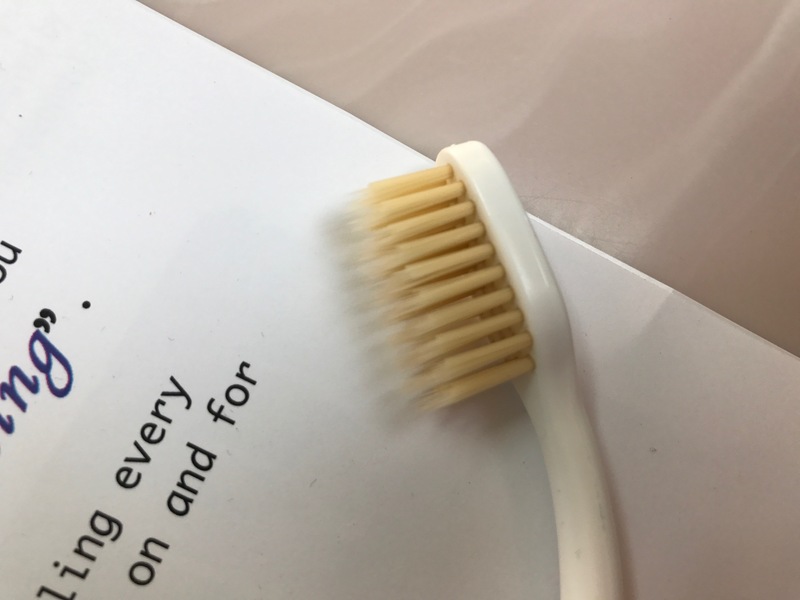 This toothbrush is made with antimicrobial bristles, which is honestly what attracted me the most to try it. THINK ABOUT IT. You brush your teeth that have been harvesting millions of bacteria ALL DAY and then you put that toothbrush in the closet and the bacteria sit and harvest and then you use that toothbrush again. And when your gums bleed? You inoculate yourself. It is your own bacteria…but still. It’s something to think about. Or maybe I just think about these things because i am paranoid…who knows. 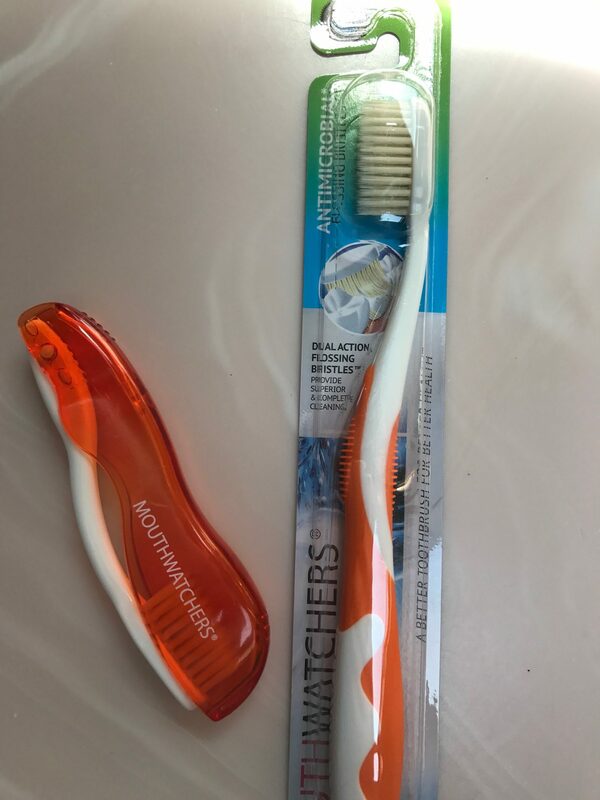 These antimicrobial bristles are infused with silver technology that claims to eliminate 99% of bacteria on bristles between use. The bristles themselves are 1 micrometer thin at the tip, so it can really get into those tiny groove while brushing. The company claims people say it feels like “you just had a cleaning” at the dentist. I really liked it. Like I haven’t used my “old” toothbrush since. I have super sensitive gums and teeth in general, and this toothbrush felt like it really got to clean my teeth without being abrasive. 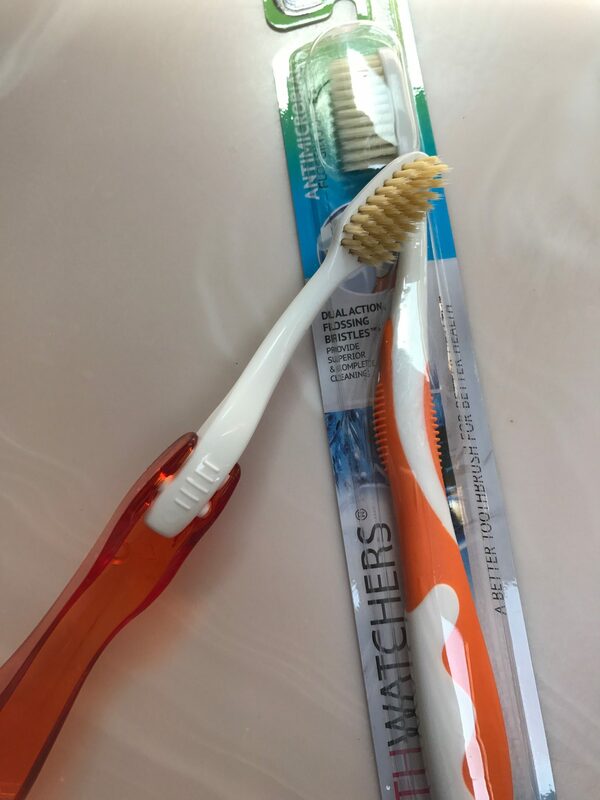 The bristles are much softer than other toothbrushes I have tried, which feel almost “plastic” like at times. ALSO–> they sent me a travel toothbrush that I absolutely love. ITS ABOUT TIME SOMEONE THOUGHT OF A COLLAPSABLE ONE! I hate those little plastic covers you put over the top of a toothbrush— once I actually found a spider in mine. haven’t been able to use it since. With the collapsable one, rinse and dry, collapse, stick in your bag, voila. disclaimer: I received this product for free. This is an unbiased review. I got some samples from a company I have not heard of before, called Telula. 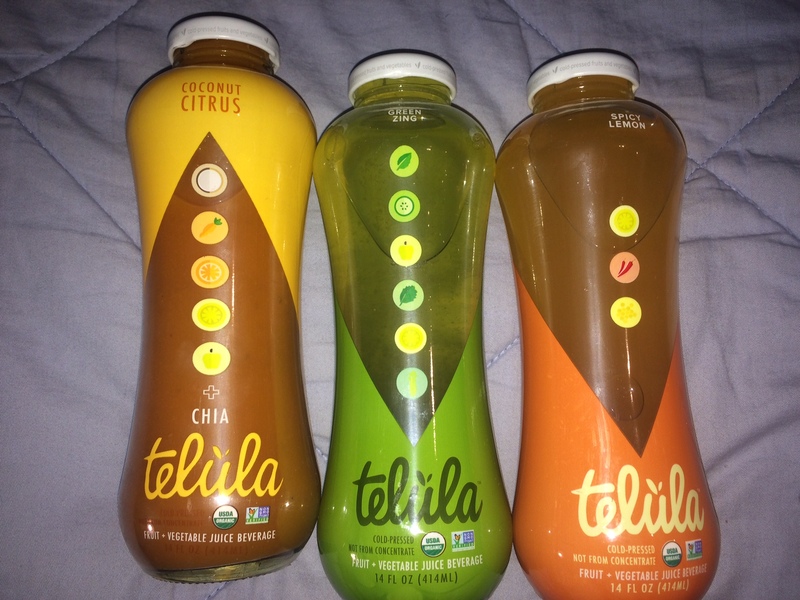 They make organic, NON-GMO, and not from concentrate juices made from fruits and vegetables. They are cold pressed and also are free of added sugar. They sent me some fun flavored samples to try, in Spicy Lemon, Green Zing, and Coconut Citrus. Let’s start with Spicy Lemon, which has 3 lemons, 6.5 peppers, and 5 teaspoons of honey in each bottle. Honey is technically sugar, so if they add that to juice, I am a little confused how they can claim no added sugar. Perhaps they meant no CANE sugar, but honey is glucose…aka sugar. 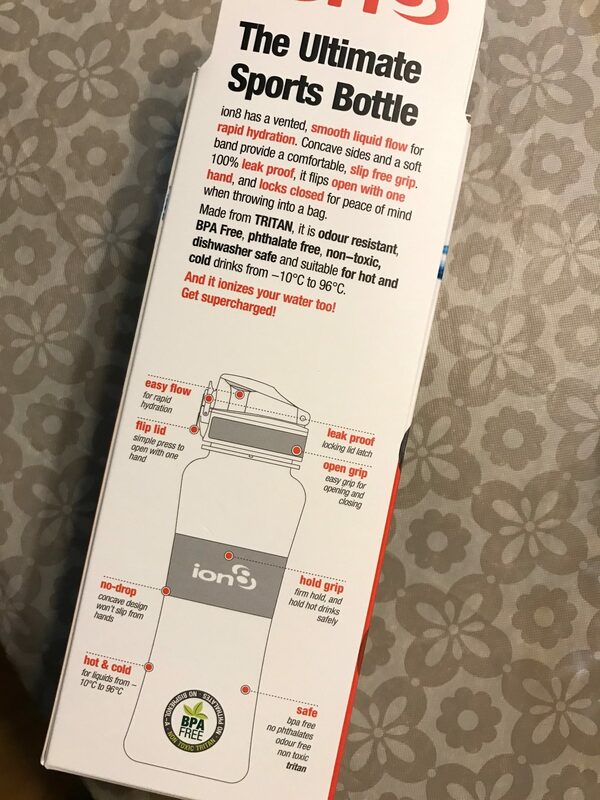 Anyway, this bottle had 70 calories a serving, 17 carbs, 16 sugars, and 0’s across the board for fat, fiber and protein. This one was actually really good! It is like a tangy lemonade, with the slightest bit of heat, but also sweet. It is very clean and refreshing tasting. I was definitely afraid of this because of the name…I think a more appropriate name would be Zesty Lemonade or something along those lines, because I certainly wouldn’t pick this up in store based off the name alone. However, the taste is delicious! The heat from the peppers leaves a little lingering flavor on your tongue as well. 4 stars. Next up, Green Zing. This one has 5 spinach bunches, 1.5 cucumbers, 2.5 ginger roots, 1 apple, 2 heads of kale, 1/2 a lemon, and 2.5 celery stalks in one bottle. Dang!! It has 90 calories per 8 ounce serving, with 23 carbs/20 grams of sugar. 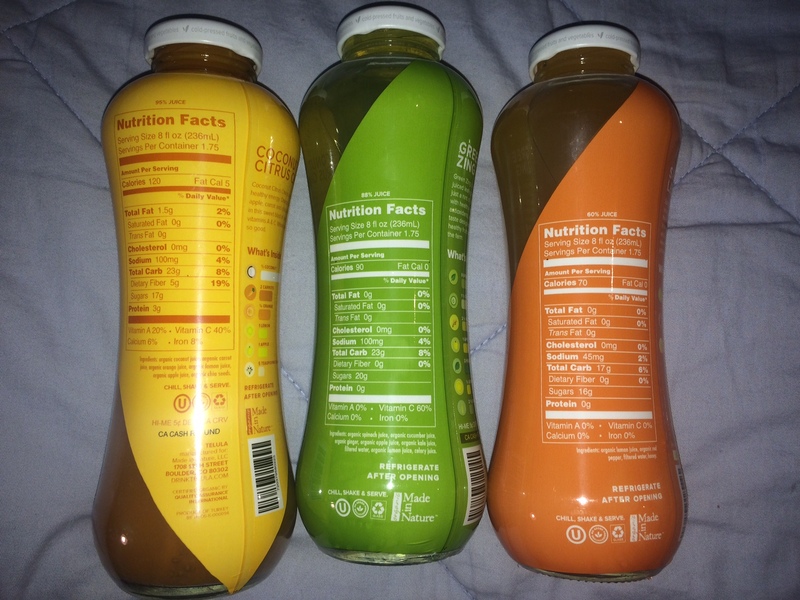 As a diabetic, I really do not drink juice unless my blood sugar is low. So I may buy a bottle to keep on hand in my fridge, but I will not be drinking on a regular basis. However, I really enjoyed these, ESPECIALLY the Green Zing one, so they are worth a shot! Ahhh summer….what a great time of the year. However, with every great thing comes tiny bits of annoyances, right? Summer’s annoyances = BUGS and SUNBURN!!!! Two things that can turn outside play time into a serious pain (literally). & Protect Extreme 100% naturally non-toxic Sunscreen/ Repellent Combo with SPF of 30. This product is a bit runny, make sure you shake it well before use. I did not do that and had a large waterfall of white liquid running down my hands. Oops. Happy to report no sunburn with this product…I put it on my face, and although I did not break out, you could definitely feel it on. It didn’t feel greasy per se, but there was a “residue” left behind. Also…this stuff does not rub in well! 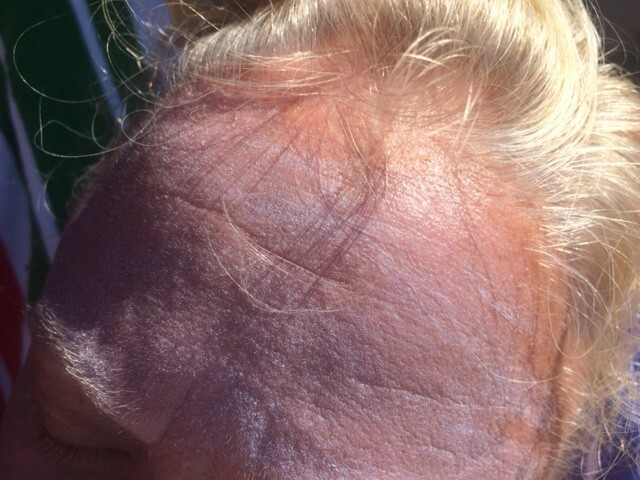 Below is the product RUBBED in on my friend who is tan already for the summer, but as you can see, the white of the sunscreen is totally noticeable. 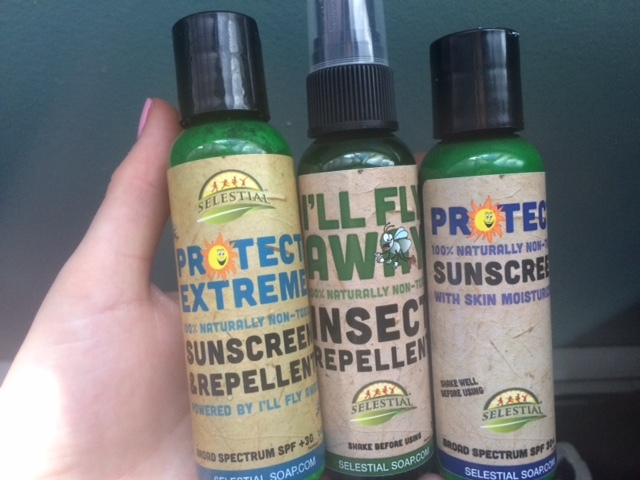 Protect Extreme 100% naturally non-toxic Sunscreen/ Repellent Combo with SPF of 30. Time for a review…of my absolute kryptonite! Peanut butter! Seriously though…I can refuse any baked good in front of me, but put a jar of peanut butter and a spoon nearby, and you’ll find me melting. I go through the temptation thoughts like Spongebob with water when he visits Sandy for the first time. 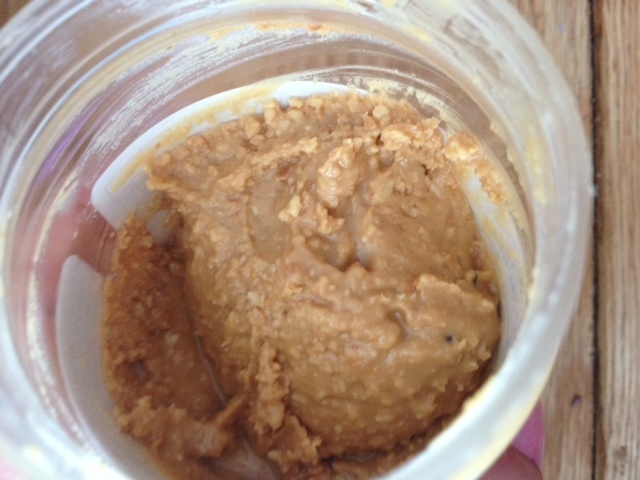 The first one up- the “Our Signature” peanut butter spread. 2 tbsp is 152 calories, 12 g fat (3 saturated), 51 mg sodium, 9 grams carbs, 1 gram fiber, 6 grams sugar, 4 grams protein. This…was unbelievable. I’m not going to lie, I am biased with peanut butter bc well I love peanut butter, but THIS was SO GOOD. It was sweet and creamy, but also had bits of peanuts in it so it had a bit of a crunch. It had a white chocolate flavor to it, was a bit buttery tasting..UGH it was SO GOOD! It had the perfect balance of sweetness too-not too sweet where it felt sugary. Just right. The only thing that kept my guilt at bay was it was 152 calories for 2 Tbsp as opposed to the usual 190 cals. WOO!! 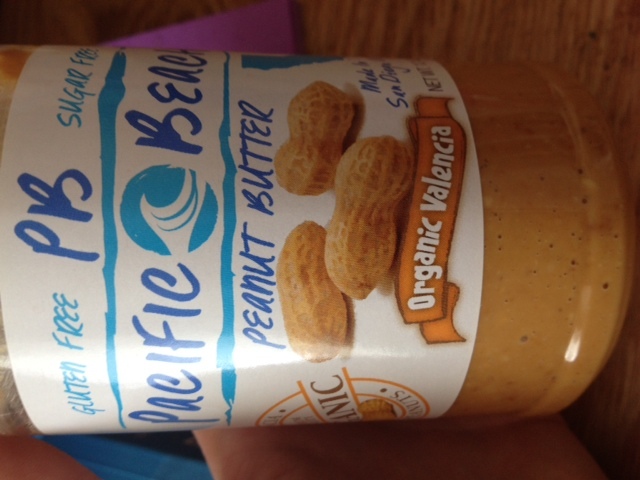 Next up, the Organic Valencia peanut butter. 2 tbsp is 168 calories, 14 g fat (2 saturated), 58 mg sodium, 6 grams carbs, 1 gram fiber, 7 grams protein. This one was also tasty, although definitely more moderate in flavor. I think it could have used a tad more salt, and was a teeny bit bland. But, still a good peanut butter. Again, it was creamy but also had chunks of peanuts in it giving it a bit of a crunch. A nice thick spread, that could easily be spread on bread or eaten from the jar (somehow I always dangerously choose the latter…). I think this is a good nut butter to pair with jelly on a sandwich bc it’s a good base. This one is gluten free and sugar free. I almost wish it had a pinch of sugar or something to bring out more flavor. 3 1/2 stars. Overall, some tasty treats! 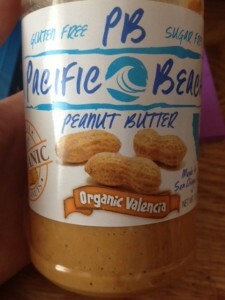 I would love to try more from Pacific Beach, because I think their other flavors sounds phenomenal as well. However, currently trying to lean out for summer and I have NO self control around this stuff…bc it is too damn good. I have been a fan of these bars for almost 2 years when I got a box to try from the company. Since then, I have been hooked. They seem to almost have blown up in popularity, and well deserved…these things are delicious and perfect when you are on a strict diet and need something high in fiber, low in sugar, and high in protein. 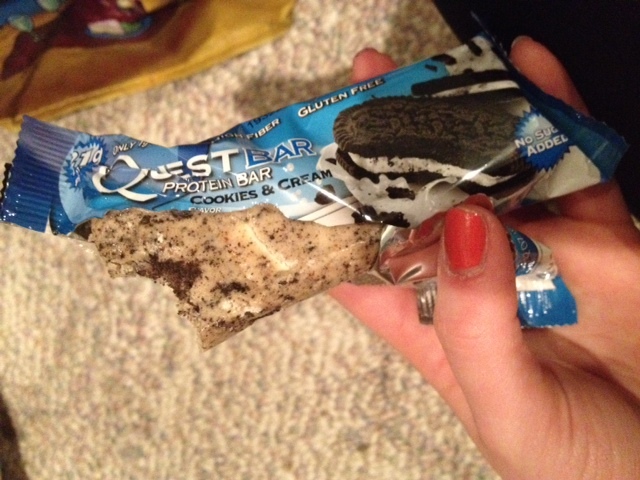 I’m sure almost everyone has heard of the new flavor of Quest Bars that came out recently- Cookies & Cream!! I got a free box of these bars to try, and I was pretty excited about it. I mean come on…look at this bar. You can see “cookie crumbs” and chunks of white creamy “chocolate”! First lets talk nutrition. This bar is GLUTEN FREE!, 180 calories, 7 grams fof fat (3 of which are saturated), 310 mg of sodium, 22 grams of carbohydrate (17 of which are fiber), 1 gram of sugar, 2 grams of Erythritol (sugar alcohol), and 21 g of protein. I use Quest bars as a snack, as I usually eat 3 meals and 2 snacks, or I’ll eat half when I have those bad hunger pains that just will NOT relent. 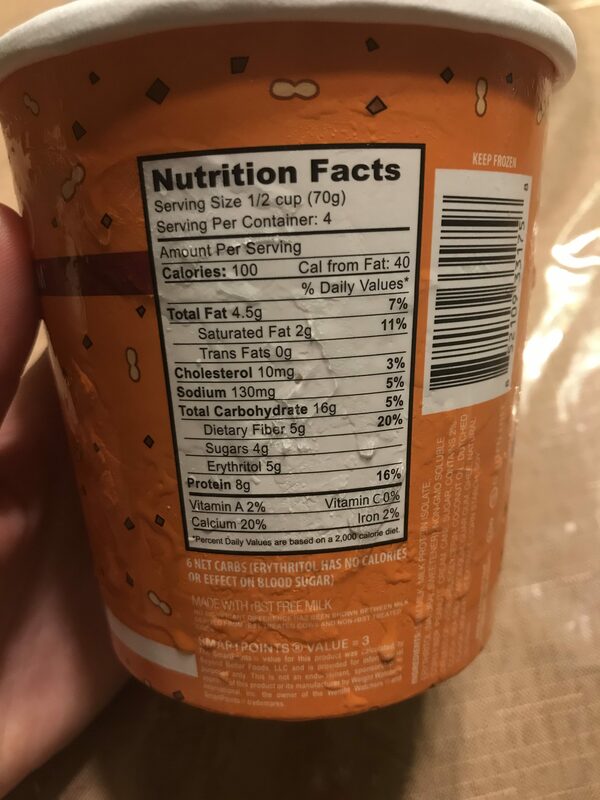 The nutrition facts are quite awesome- not TOO high in fat, nice amount of fiber (which is ideal for me since I am a Diabetic for glucose control) and only 1 gram of sugar. Okay, that’s all cool but how does it taste? Overall, I love these. I always order directly from the site, because I feel like they are freshest and softest from the website. These get 5 stars from me. I honestly can’t complain about a thing.